Although many people believe that monitors behave mostly the same, it is not always true. There are separate monitors suited for heavy gaming, for entertainment purposes, and even for coding & programming. 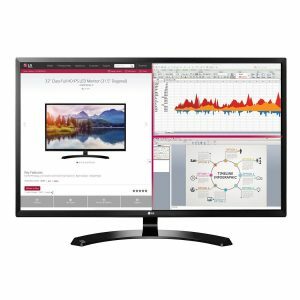 Picking out the best monitor for programming can be difficult, not to mention a little scary because of all the varieties of brands, screen sizes, screen resolutions, and so many other factors. In this article, we will shine the light on some monitors which can make your life as a programmer much more easier. 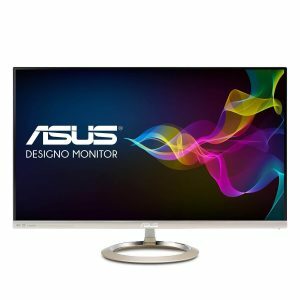 How to Choose the Best Monitor for Programming? The most important factor while choosing the best monitor for coding is it should be easy in your eyes. 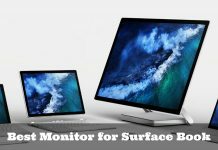 This factor has dependencies on many features of the monitor such as screen size, ergonomic features, screen resolution, display panel, and more. Here we will talk more in detail about how the screen size, screen resolution, and display panel of a monitor should be selected to give you the best monitor for a programmer. Screen Size: Some people might prefer smaller screens but to be honest, a larger screen is always more preferable when it comes to the extensive use of the monitor. A bigger screen also ensures that your fingers earn some respite from pressing the “alt+tab” keys over and over. Moreover, there are various studies conducted which show that a bigger monitor also boosts productivity. However, getting a larger monitor means you need to place special emphasis on the resolution of the screen. Screen Resolution: A monitor with better screen resolution has many more benefits regarding programming. Such monitors give you better readability so that you can write and read code in a much easier manner. For coding purposes, any laptop below the resolution of 1920×1080 is not recommended. Since writing command lines puts a lot of strain on your eyes, it is important to make sure that the strain is reduced in any way possible. 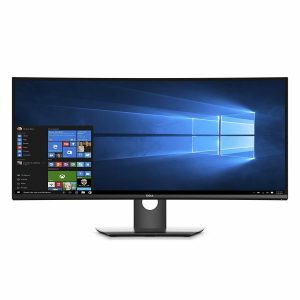 Depending on your budget and preference,e you can choose from 1920×1080, 1440p, and 4K monitors to satisfy all your programming needs. Display Panel: Most monitors have three display panels. These display panels are called in-plane switching (IPS), twisted nemantic (TN), and vertical alignment (VA). When you are selecting a good monitor for programming purposes, avoid the TN monitors at all costs. 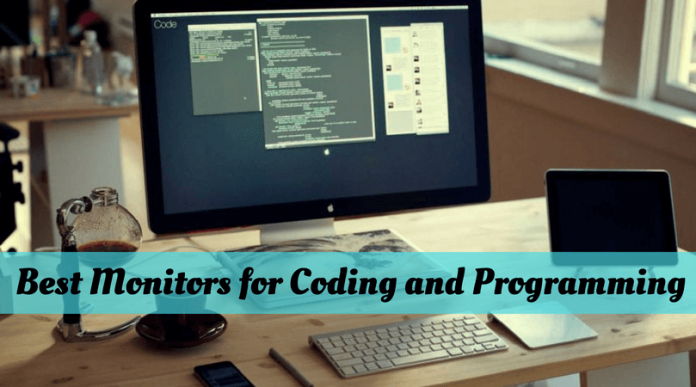 They are the least suited for coding and give you the most problems in the long run. VA and IPS panels are more user-friendly and popular, simply because of their viewing angles, color quality and contrast ratio. Among the two of them, IPS panels provide the best facilities for programming purposes. These days, USB powered monitors are taking over the market, and with good reason. These monitors are mostly Full HD IPS panel monitors which can be easily transported and used. Using USB powered monitors will also allow you to hook up a number of screens to the same computer at minimal costs. This monitor is a 21.5 inch Full HD monitor. The screen is anti-glare, so your eyes can rest easy while you code. The design is created in such a way that multi-monitor setups can be made effortlessly. 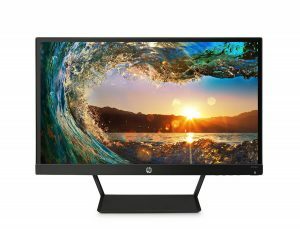 HP Pavilion 22cwa monitor uses IPS technology to give you high color and wide viewing angles. The ports are placed in such a way that they can be easily accessed, and the stand opens up to tuck away any wires that you might connect to the monitor. Resolution of this monitor is 1920×1080, which is the best resolution for monitors up to 24 inches. This monitor comes with an HDMI port and cable as well, so you can connect it to a second viewing monitor to your TV. The viewing angle of this monitor is 178 degrees, which means you can view details in full color from any direction. Response time for this monitor is 7ms with overdrive, therefore your picture looks sharp and distinct without any motion blur. The backlighting used for this monitor is mercury-free LED backlighting, and the glass used in the screen is arsenic-free glass. These measures make this one of the best monitor for coding purpose. This 32-inch monitor is currently one of the most popular products in the market. 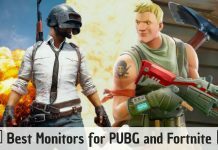 One of the most convenient features of this monitor is that it has the monitor settings available on the screen so that you can control the monitor using only your mouse. This is the best product for multitaskers since it has an inbuilt technology called Screen Split 2.0 that is specifically used for multitasking purposes. Thanks to its 32-inch size, the viewing area increases by 70% as compared to a 24-inch monitor. This monitor is a FullHD monitor with an IPS panel, which means you get brilliant colors and excellent clarity when you use this screen, even when you look at it indirectly. If you are a workaholic, you will love this monitor. It has a special reading mode where you can sit and look at your work for long stretches of time without harming your eyes. The Screen Split technology that is present in this monitor can show you up to 4 windows at a time, and you can configure them in 14 different ways. This is sure to boost up productivity like never before! If you thought the best you could get were FullHD monitors, you were wrong. This monitor is a 34-inch monitor with Full UWQHD clarity in a 21:9 aspect ratio with a resolution of 3440×1440. The appealing display shows you a wide range of colors consistently across the 34-inch screen with a viewing angle of 178 degrees. With 7 kinds of ports that include HDMI, USB 3.0 upstream and USB 3.0 downstream ports, this device allows you to connect with secondary devices with ease. This monitor comes with integrated speakers of 18W, which are powerful in performance. It also comes with an adjustable height feature, as well as the tilt and swivel facilities so you can work in peace from any angle you wish to. The curvature of the screen improves your viewing area by reducing reflection and giving you a consistently uniform focus. A technology called ComfortView is available on this monitor. This technology reduces blue light emissions. You can also multitask using the Dell Easy Arrange feature by dragging and dropping your preferred apps in their desired location. This monitor also has an anti-glare screen with 3H hardness and a curve radius of 1900R. If you want a 4K monitor to fulfill your coding purpose as well as for playing high-end games, then I will recommend you to go for the ASUS MX27UC Designo display. Its ultra-slim frameless design gives a great look as well as makes it perfect for the multi-monitor setups. This monitor is specially designed by keeping the tech-savvy professionals and classy home users who want a perfectly productive screen with some great entertaining characteristics. It has a 27-inch IPS panel screen with a 178° wide viewing angle which will provide an enhanced viewing experience when you code or play. The USB Type-C connectivity helps you to transfer the data at an ultra-high speed of up to 5Gbps to the compatible devices like mobiles, laptops, tablets, etc. It comes with inbuilt 3W dual stereo speakers who will keep your good mood while you have the extended use of the system or want to relax a bit. The ASUS ‘Eye Care Technology’ will protect your eyes by reducing the eyestrain when you spend countless hours in front of the screen. It has a sundial-type base with a metallic gold finish to give an attractive look along with the sturdiness. You can choose from the seven different sizes and seven resolution types as per your need and comfort. You will get a 3-year warranty from the company for this monitor which is rare in the industry. 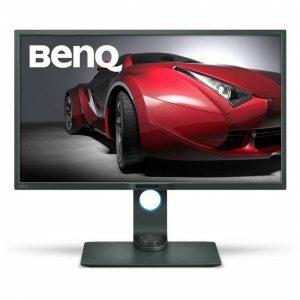 The BenQ PD3200U is an excellent display for those who are looking for a fantastic, elegant, and powerful monitor for their productivity needs. Its ultra-high resolution with absolute color precision will help you to make creative work output without making any compromises. According to your application requirement, you can change the modes of the screen for the best viewing experience. This benefit is one of the main selling points of the display. The IPS panel technology of this display will provide brilliant color ratio with a wide viewing angle for enjoying excellent visuals. You can select the darkroom mode, CAD/CAM mode, or Animation mode depending on your use. It allows you to use a single keyboard & mouse between two computer system thanks to its KVM (Keyboard Video Mouse) switch. This display has won some notable awards like Tom’s Hardware Award and 2017 Editor’s Choice Awards. It is compatible with Windows and MAC Operating System to provide you the work flexibility. You can choose the suitable monitor from the four different sizes and three distinct styles. It has a ‘DualView’ feature to allow you to use two application side-by-side and eliminate the need of using two separate displays. It comes with tilt, pivot, height, stroke, and swivel adjustments to help you enjoy watching the content at full as per your comfort. Now that you have the best products of the market in front of you, the only decision you have to make is which one will you get? Next articleGlossy Vs Matte Screen: Which One is Better? 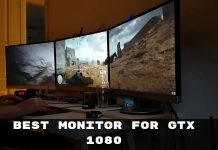 Best Monitor for GTX 1080 – Which Monitor is Best for You?